Today I would like to share another marvelous cake from my childhood. And no, I don’t mean there were some questionable practices in the sticks of Ukraine, as the title may imply. At least not at my house. This cake is completely untainted and innocent, I assure you. 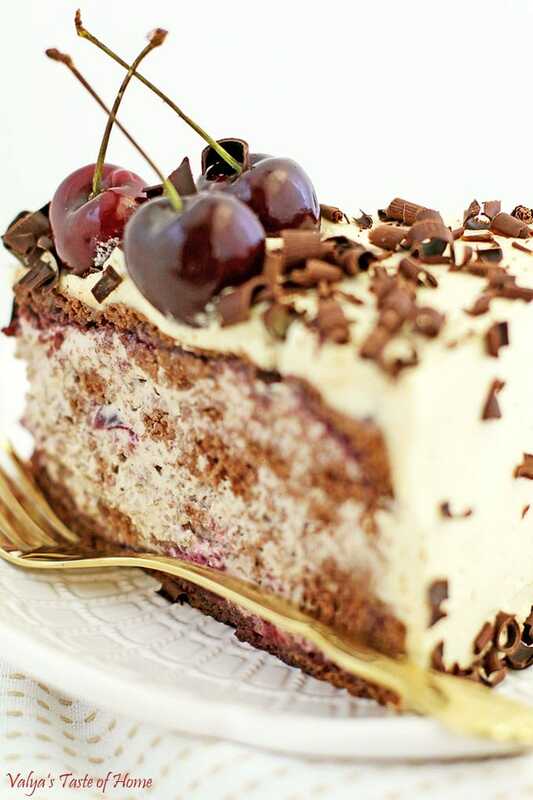 Traditionally, people have soaked cherries in liquor, but the name also comes from the style of the cake: the muddled-up sponge design. My mom used to make this cake sporadically because we had limited access to a large variety of ingredients in those days. 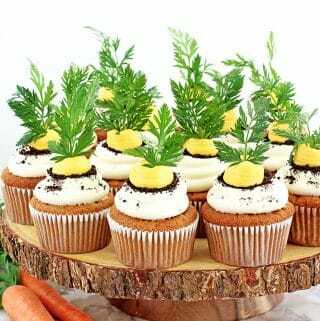 Fancier and more complex recipes such as this one were usually reserved for the holidays. 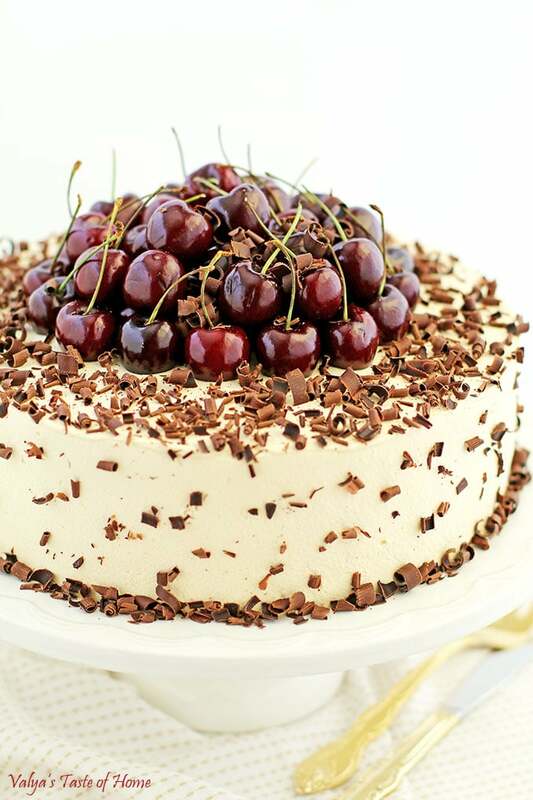 Since cherries are one of my favorite fruit to bake with, I’ve loved this cake steadily up to this day. 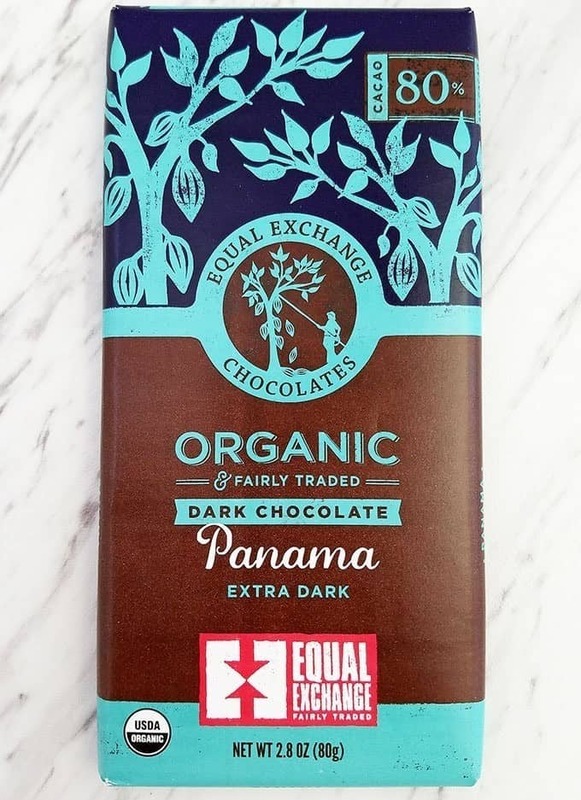 Plus – it’s chocolate! Need I say more? 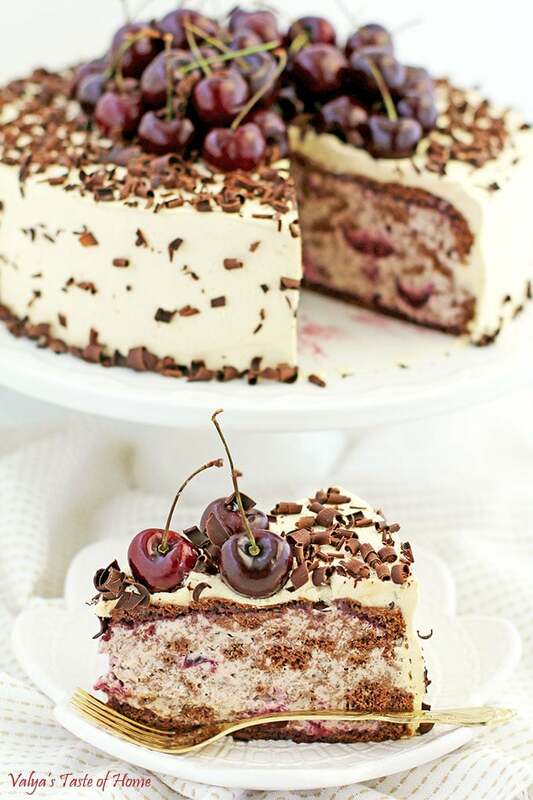 Loaded with two pounds of lightly cooked cherries, topped with a pound of fresh cherries, caramel cream, and fluffy chocolate cake sponge, and finally sprinkled with shaved best-tasting organic chocolate, it’s fair to say that self-control takes a little more effort around this exquisite goodness. Ah, my mouth waters just by glancing at the pictures, and the cake is long gone! This rich and delicious stunner will definitely not disappoint. Give it one try and you’ll love it as well! PS. If you have canned cherries in the juice, that works best. Otherwise, make this chunky cherry syrup. 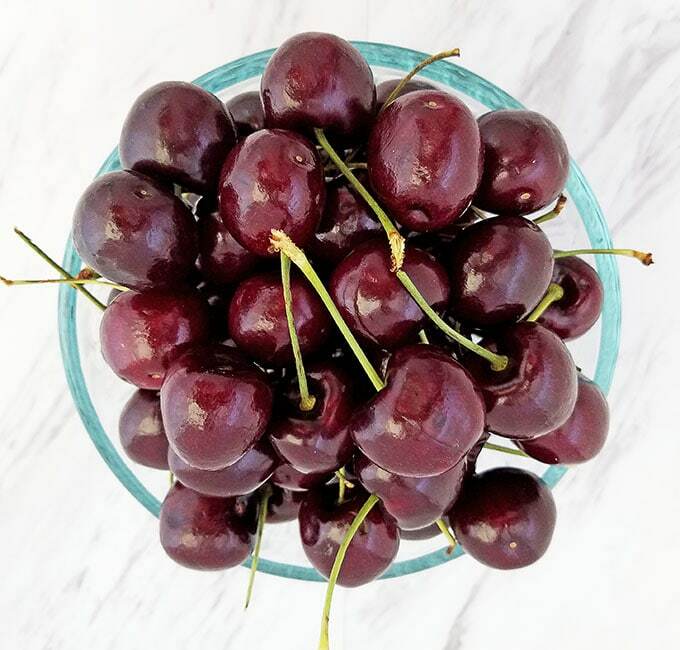 Cut each cherry in half, remove cherry pits, and place them into a small pot. Add sugar and bring to a boil on high, stirring constantly. Reduce heat to low and let it simmer for 30 minutes, stirring occasionally. Remove from the stove top and cool completely. 1. Preheat the oven to 350 F (180 C). 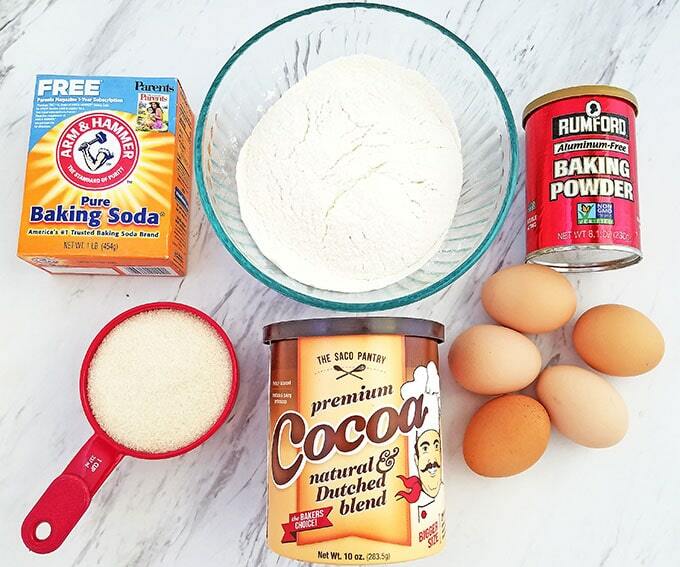 Sift dry ingredients: flour, cocoa, baking powder and baking soda into a small bowl. Combine and set aside. 2. Beat eggs and sugar on high speed for 5 minutes. 3. Add dry ingredients into egg mixture in two separate additions, stirring very carefully not to deflate too many air bubbles. 4. Bake the sponge for 25 minutes. Remove from the oven, then spring pan and cool completely. 6. Remove the softness of the sponge in chunks, leaving the crisp outer shell intact. 7. Set the sponge pieces aside until ready for use. 1. Beat heavy cream just until it thickens. Add ½ can Dulce de Leche and beat just until combined. Scrape down the sides of the bowl and mix again for about 15-20 seconds (do not over mix). Reserve 1/3 of the cream and place it in a separate bowl for the outer coating. 2. Strain the chunky cherry syrup. Set aside until ready for use. 3. 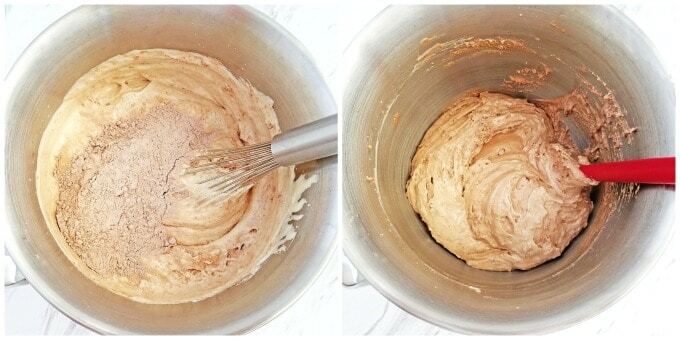 Add sponge pieces into the cream and mix them in until just combined (try to keep the sponge pieces not mashed). Then add strained cherries and mix just until combined. Do not over mix to keep sponge pieces and cherries large and visible in the end-result. 1. Soak the top and bottom cake crusts with the reserved strained cherry syrup. 2. 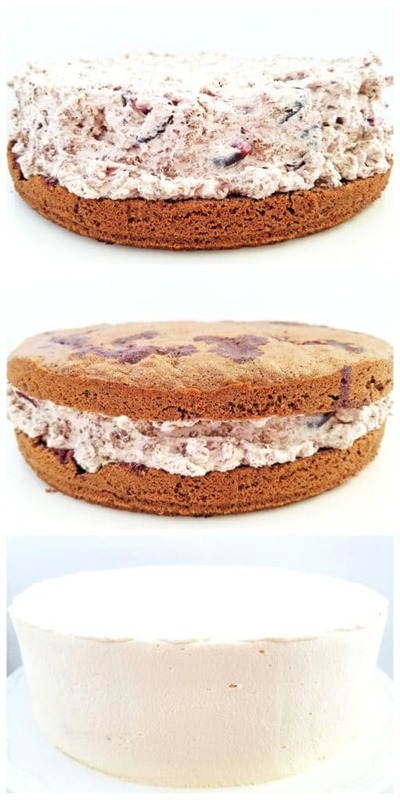 Place the bottom of the sponge cake onto a cake platter. Pack all of the cream/sponge/cherry fillings and cover with the top crust of the cake sponge. Ice the top and sides of the cake with the reserved cream. 3. Grace the cake a with the one-pound pile of fresh cherries. 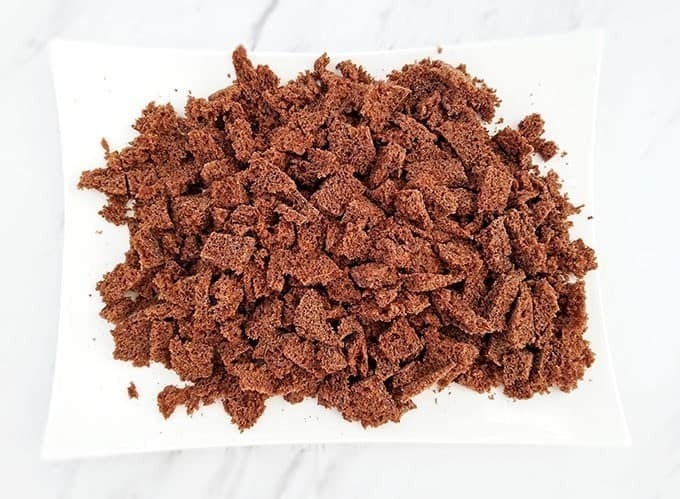 Sprinkle the top and sides of the cake with chocolate shavings. (I use a potato peeler to shave the chocolate bar.) 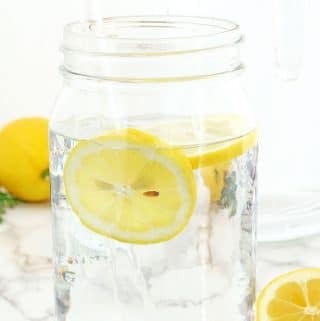 Refrigerate for 6 hours or overnight for best results. 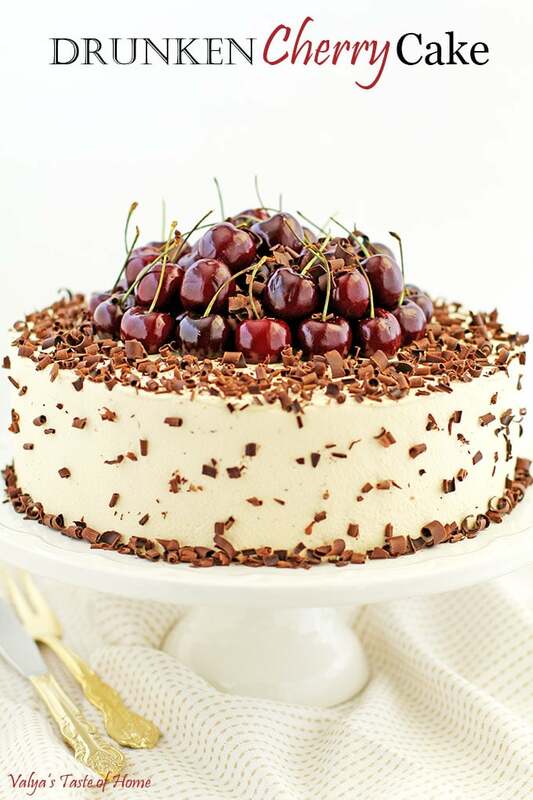 Loaded with two pounds of lightly cooked cherries, topped with a pound of fresh cherries, caramel cream, and fluffy chocolate cake sponge, and finally sprinkled with shaved best-tasting organic chocolate, it’s fair to say that self-control takes a little more effort around this exquisite goodness. 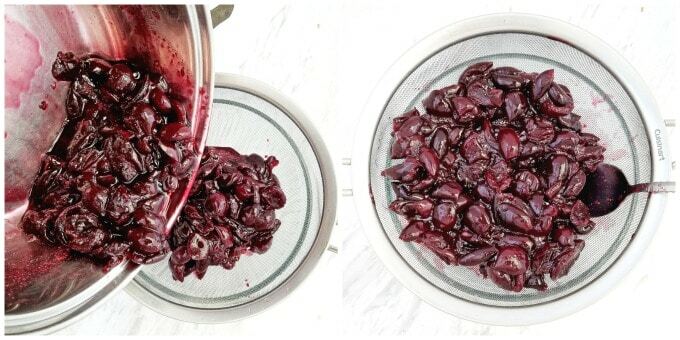 Tip: If you have canned cherries in the juice that works best. Otherwise, make this chunky cherry syrup. Preheat the oven to 350 F (180 C). 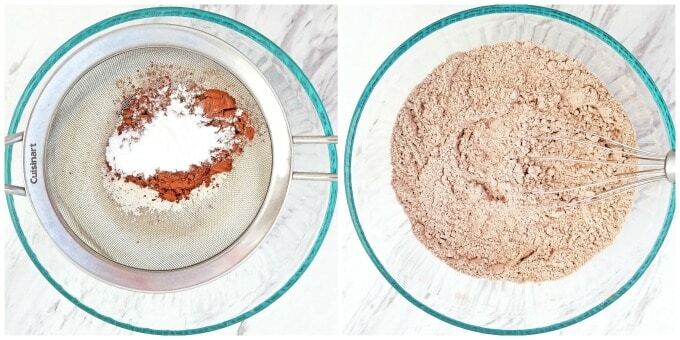 Sift dry ingredients: flour, cocoa, baking powder and baking soda into a small bowl. Combine and set aside. Beat eggs and sugar on high-speed for 5 minutes. Add dry ingredients into egg mixture in two separate additions, stirring very carefully not to deflate too many air bubbles. Bake the sponge for 25 minutes. Remove from the oven, then spring pan and cool completely. 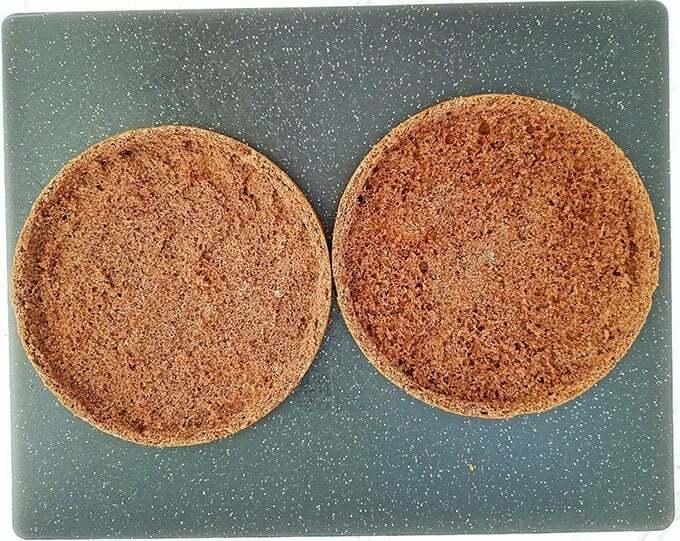 Slice cooled sponge in half. Remove the softness of the sponge in chunks, leaving the crisp outer shell intact. Set the sponge pieces aside until ready for use. Beat heavy cream just until it thickens. 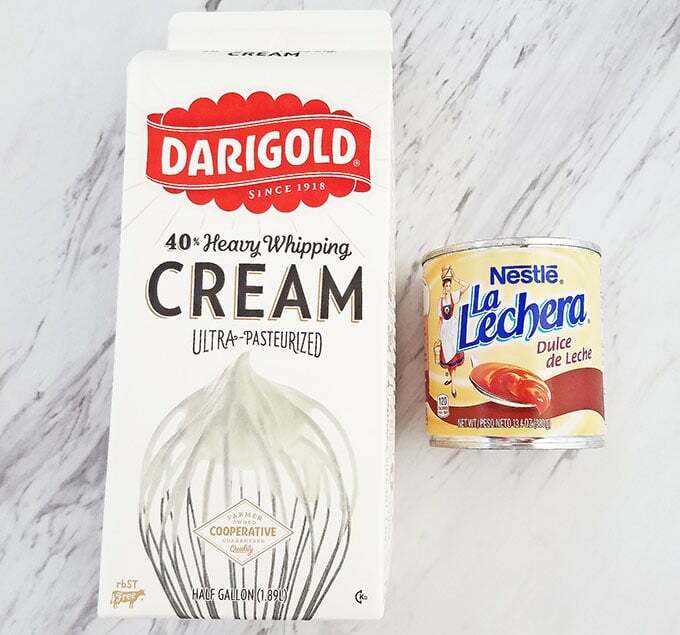 Add ½ can Dulce de Leche and beat just until combined. Scrape down the sides of the bowl and mix again for about 15-20 seconds (do not over mix). Reserve 1/3 of the cream and place it in a separate bowl for the outer coating. Strain the chunky cherry syrup. Set aside until ready for use. 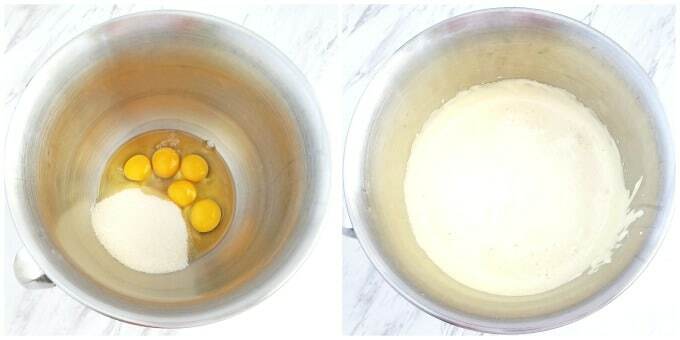 Add sponge pieces into the cream and mix them in until just combined (try to keep the sponge pieces not mashed). Then add strained cherries and mix just until combined. 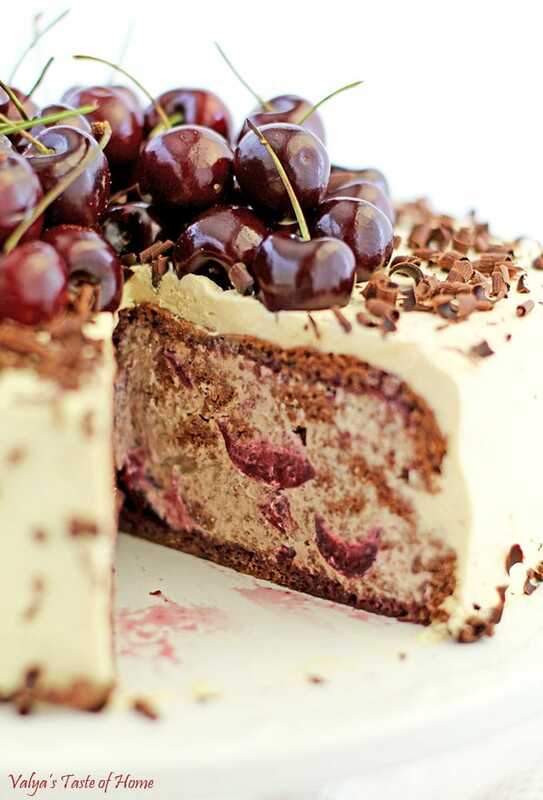 Do not over mix to keep sponge pieces and cherries large and visible in the end-result. Soak the top and bottom cake crusts with the reserved strained cherry syrup. 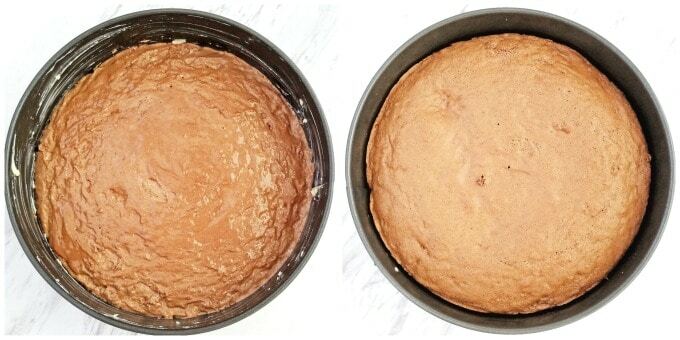 Place the bottom of the sponge cake onto a cake platter. 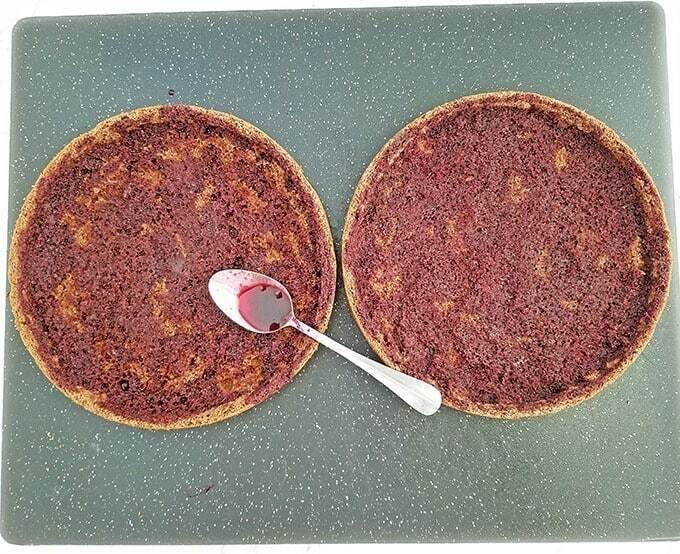 Pack all of the cream/sponge/cherry fillings and cover with the top crust of the cake sponge. Ice the top and sides of the cake with the reserved cream. Grace the cake a with the one-pound pile of fresh cherries. Sprinkle the top and sides of the cake with chocolate shavings. (I use a potato peeler to shave the chocolate bar.) 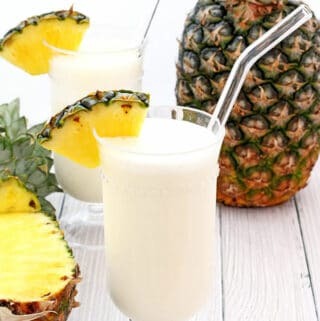 Refrigerate for 6 hours or overnight for best results. If you make this Drunken Cherry Cake Recipe please share a picture with me on Snapchat, Facebook, Instagram or Pinterest. Tag with #valyastasteofhome. I’d love to see your creations! ? 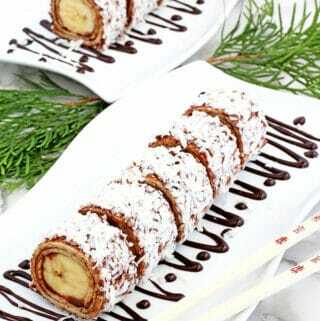 Enjoy with a cup of hot tea or coffee! 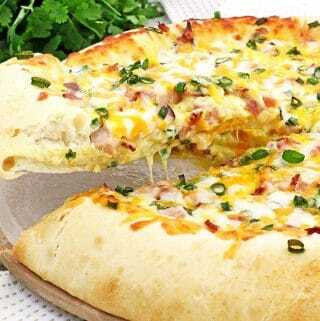 oh my this looks mouthwatering! I’m drooling just by looking at this!! Definitely makes it for my week menu!! I made it! It turned out perfect, very light and tasty! Thank you for the recipe. Wow, this cake is heaven on a pedestal! It definitely has its place in my top 10 cakes. It’s very special to me and I’m tickled that you loved it too. Thank you! ? I made this today and it is uhh-may-zing! Came back to say huge appreciation for the great recipes and all your hard work. You’re awesome cook and baker! I’m glad to hear that you like the recipe. Thank you kindly for coming back an sharing your experience with me I really appreciate it. This is such an unusual and gorgeous cake! 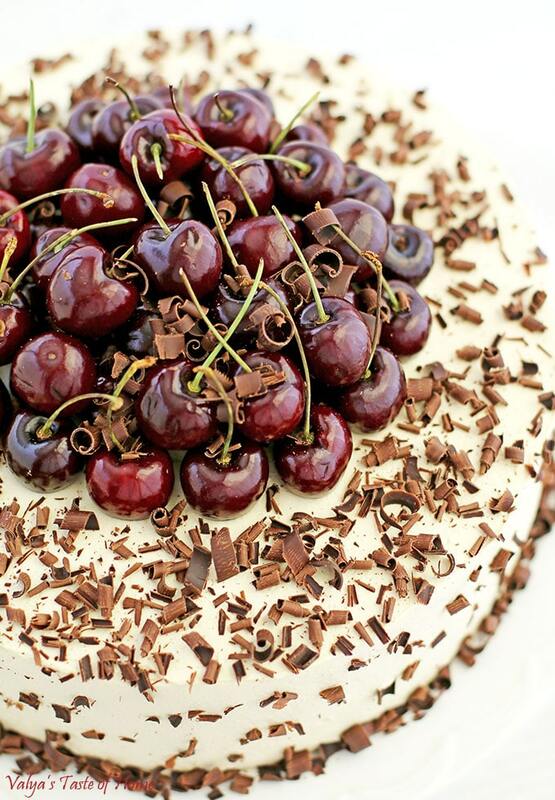 The stack of cherries on top are a showstopper! 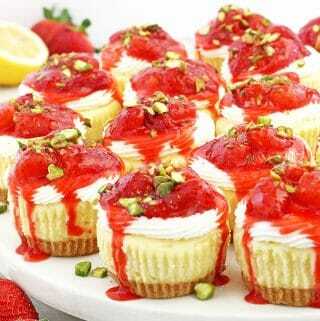 One of favorite cakes! So beautiful and delicious. Thanks for another great cake. Keep ’em coming! Absolutely love the quality of this picture. its a must try kind of look. I made this cake and I really enjoy the taste of it, love chocolate cakes overall? Looking forward to making this cake again for family gatherings? If the cherries canned the Slavic way in a jar then its better with canned cherries, but if you are using American canned cherries, then you better off with fresh or frozen cherry syrup. This is just too cute to cut! Thank you :D, it’s one tasty cake! Hi Valya! Thank you for your yummy recipes! I have a question, when baking my cake the cake caved in the middle. 🙁 What could be the cause of that? Also, is it ok to still use it even though it caved in? Thank you! Hi Vicki. One of the problems is over mixing the batter and deflating the air bubbles. 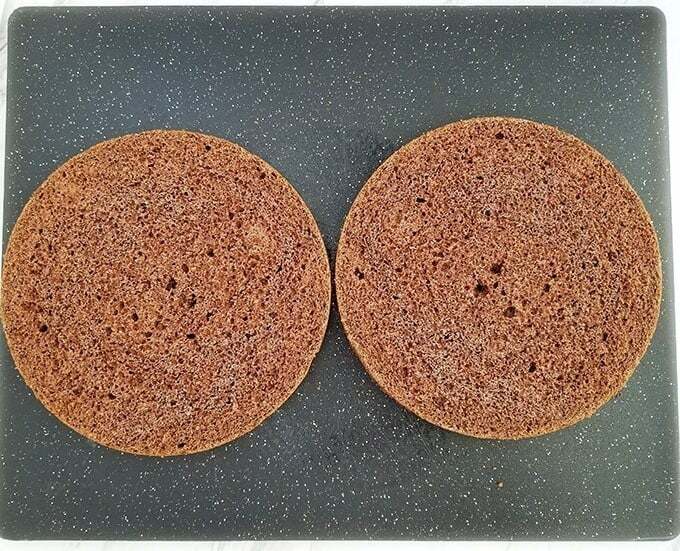 Another problem could be shacking right after baking (I usually let the cake sponge cool to warm temperature before removing from a pan; especially chocolate cake sponges, they tend to be a little more delicate). Yes, it is still ok to use it. Just be careful when cutting off the top part of the cake sponge. What size of baking pan did you use? 9”? Both 9” or 10” will work well. Thanks for asking.